PARIS (AP) — A French judge handed preliminary charges Saturday to two Germans whose group ran an unauthorized campsite in southern France that was inundated by flash floods, forcing the emergency evacuation of 119 children. The newspaper Le Monde identified the two as the president and vice president of the Jugendförderung Saint-Antonius group, which owned the land where the campsite was located, in the village of Saint-Julien-de-Peyrolas in the Gard region. 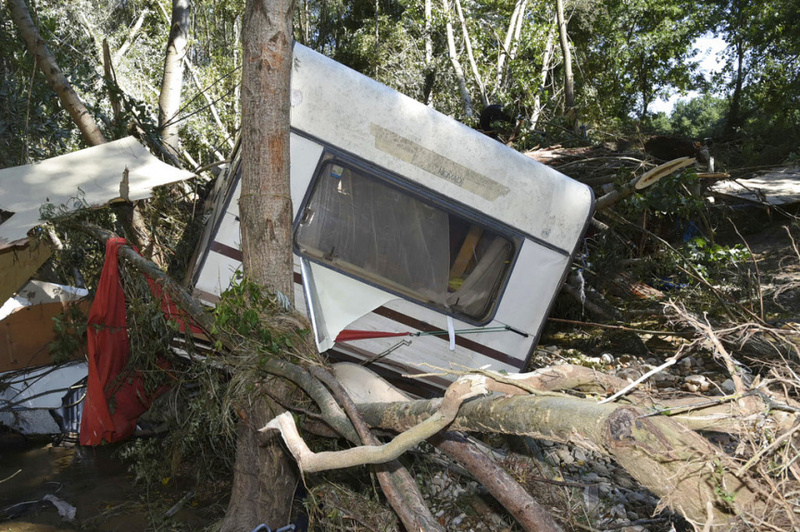 The campsite in Saint-Julien-de-Peyrolas was in a flood zone. Just 48 hours before the waters suddenly rose, municipal officials had warned the group of the dangers of remaining due to the threat of rising waters, the prosecutor's office said.